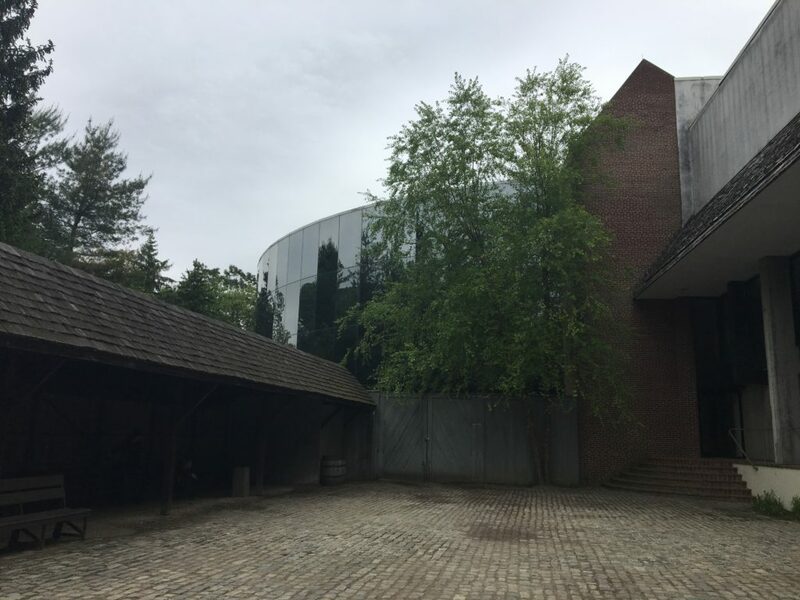 Located in an old industrial building, the Brandywine River Museum of Art is a small art museum dedicated to American art. It is most notable for art by the local Wyeth family, N.C, Andrew, and Jamie. 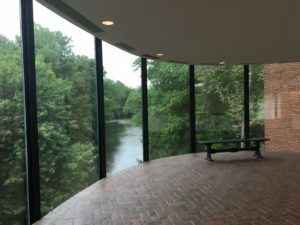 One of the most notable features of the place is the atrium, which spans all three floors and provides absolutely spectacular views of the Brandywine River. Two of the five permanent galleries are dedicated solely to the works of the Wyeths. On the second floor is the art of N.C Wyeth and Jamie Wyeth, his grandson. N.C Wyeth’s art includes some of his famous illustrations, many of which were used in children’s books. Jamie Wyeth is still alive and an active artist, with the most recent painting in the collection dating from 2017. On the third floor is the Andrew Wyeth gallery, which contains artwork from Andrew, the son of N.C and father of Jamie. Wyeth is best known for his portraits, many of which are displayed here. Two of the other galleries are American art in general, with emphasis on landscapes and still lifes, although there are many depictions of life in general at the time. On the second floor is the New Terrains exhibit, which the museum acquired in 2014. The entire gallery is landscapes and seascapes, which is extremely pleasing. On the first floor, the Heritage Collection is a gallery of American art, which includes several landscapes of Delaware and the Brandywine River, among others. Off site, the museum offers tours of the N.C Wyeth House, the Andrew Wyeth Studio, and the Kuerner Farm, which served as one of Andrew Wyeth’s many inspirations throughout his life. Outside of the museum is a trail that leads down the river up to Route 1. This walk is scenic, quiet, and serene. Admission is $18 for adults, $15 for seniors, and $6 for students and children. Tours of the N.C Wyeth House and the Andrew Wyeth Studio are $8, and the Kuerner Farm is $5. The museum has a large gift shop, which sells lots of Wyeth-related merchandise. Get on the Vine Street Expressway and head east until you get to I-95. Begin going south on I-95. Follow I-95 until you reach Route 322, south of Chester, PA. Continue down 322 until you reach Baltimore Pike, which connects Philadelphia and Baltimore. This road is also known as Route 1. Continue onward to Hoffman’s Mill Road, past Creek Road. The museum has sufficient parking. Alternatively, take 76 from Center City to I-95, and then go onto 322, then onto Route 1. Either way works.